Fare gates at busy stations use reversible lanes I previously only knew from bridges and busy roads. Photo: Marcin Wichary. I fell in love with Japan’s trains not just because of their ubiquity and punctuality — although that helped. Trains took me anywhere I wanted, and the most prominent warning on one of my tickets wasn’t warning about delays but rather the possibility of arriving at my destination too early. It was mostly the details, countless considerate touches that all added to a delightful experience: from fascinating ticket machines that offered a hook for my umbrella and whispered which train cars were the least busy, to retractable cup holders and reversible seats on bullet trains. The pervasiveness of details also countered the notion that if you want to do something at scale, your only option is to paint with a really broad brush. Somehow, Japan’s train network managed to see both the trees and the forest. B. The tactile paving for the visually impaired originated in Japan. C. Door obstruction, manspreading, priority seating, and other train woes seem universal. D. Subway straps: not only generous in quantity but also at different heights to accommodate people of all shapes and sizes. E. Smart progressive disclosure: since you’re already looking down when entering the escalator, we might just as well share useful information. F. Ample foot-level signage directs you to the right car even on regional trains. I thought did not deserve such amenities. G. A transit card can come personalized, and it features a notch that helps to distinguish it from other cards by touch. 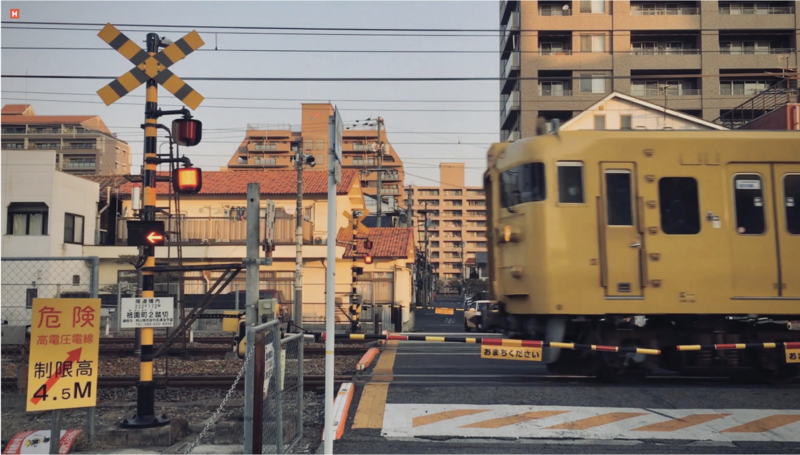 H. Many train crossings not only use surprisingly gentle sounds, but also telll you from which direction to expect the next train. Marcin Wichary is a designer and writer living in San Francisco. He is writing a book on keyboards.